Shopping for a wedding gown doesn’t have to be a stressful time in your life. In fact, many women often find it an enjoyable experience! 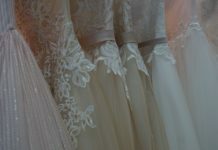 There are other places to find a wedding gown besides an expensive bridal salon, but not many prospectives brides either know or are aware of that. Check out the list below for some other alternative places to find a gown! – Bridal Salon – This is the the most popular place for brides to get a wedding gown. Bridal Salons offer advice, do consultations, alterations, fittings, and anything else you’d expect from a full service salon. Full service salons will often mean higher prices because of the time and attention that is spent on the bride. 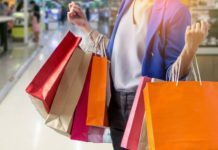 – Large Retail/Department Stores – Major department stores, such as JC Penny’, Saks Fifth Avenue, etc. have a bridal department. These dresses will cost a little less than a Bridal Salon and you might not get the full service treatment as you would at a Bridal Salon. – Gown Discounters – There are MANY Gown Discounters available, both online and in your area. These gowns are often gotten for a signifigant discount compared to Bridal Salon prices. If you need alterations, you’ll need to go elsewhere to ge them done. – Rentals – If you don’t mind not owning a wedding gown, then consider renting one. Minor alterations and cleaning are often included in the price, just like in renting men’s formal attire. – Wear Someone Else’s Dress – You can borrow a dress from a friend that recently got married, or wear a dress that someone in your family has worn before. 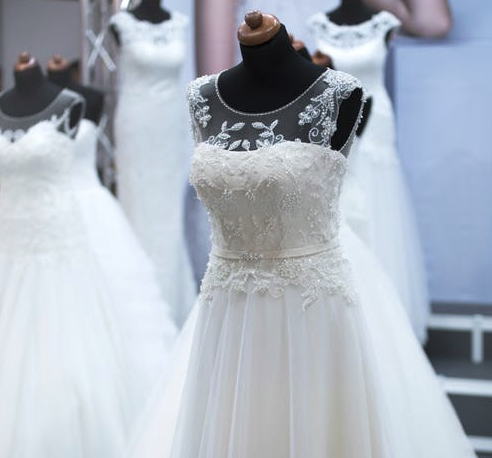 You may have to get alterations and cleaning done on the dress, so you may need to check with the owner before you do that. – Have a Gown Custom Made – You can either go to a seamstress or even make it yourself. Going this route will give you more flexibility on the type of gown you can create, since you can customize it to fit your tastes. – Online Auctions – Many brides, once they’ve gotten married, will sell their wedding dresses online. This is a great way to get a dress for less than buying one new. – Local Newspaper Ads – Many brides will take out newspaper ads to sell their wedding dress in your local area.